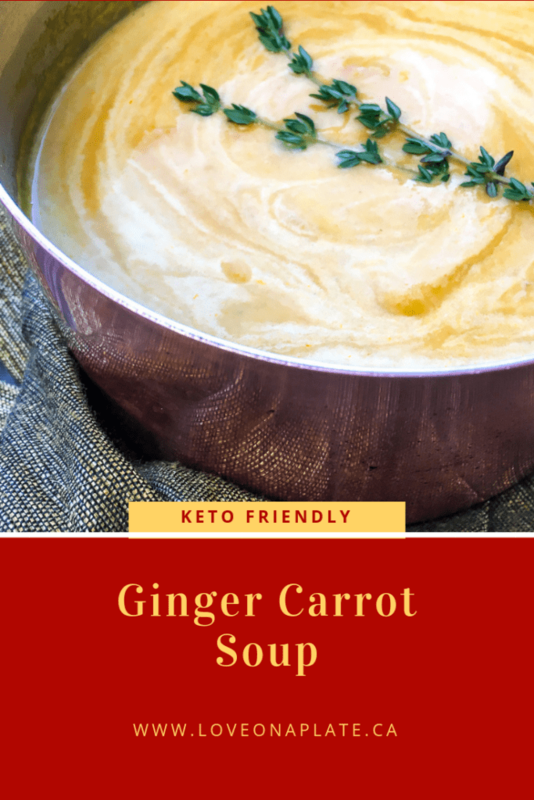 Ginger Carrot Soup, velvety smooth, warm and inviting, this soup is Keto friendly and Gluten free and is the latest addition to my soup collection! 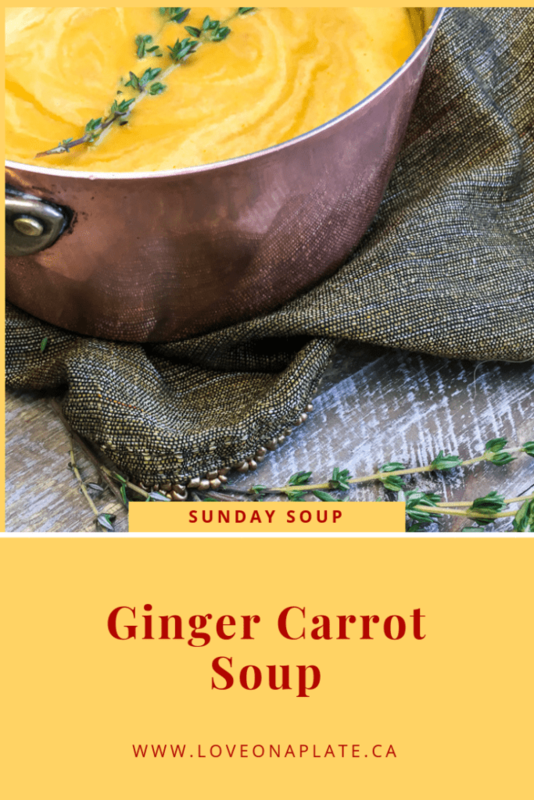 I love the simplicity of this soup in terms of preparation, but the full flavour that you still get. 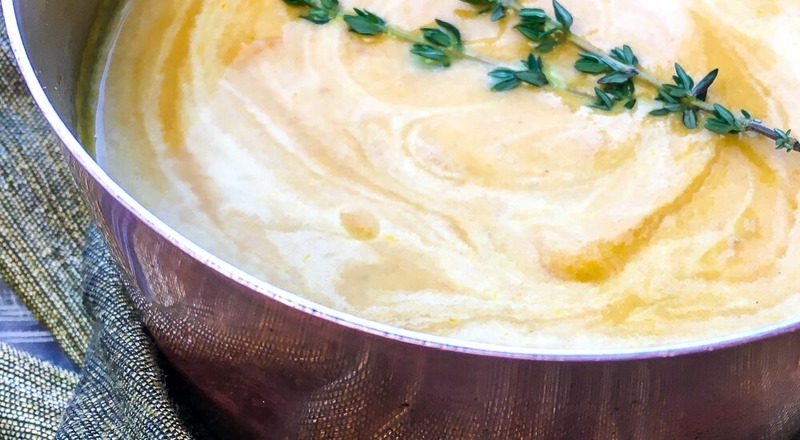 Easy to make, easy to reheat and good for you! Lot’s of Beta Carotene from all the carrots, low in sodium, and vegetarian, it’s an all around winner. Heat olive oil in a large, high-sided skillet over medium heat. Add onion, garlic, carrots, and bell pepper. Season with salt and black pepper, to taste, and cook, stirring frequently, until vegetables become soft and translucent, approximately 5 minutes. Add vegetable broth, minced ginger, and thyme leaves and stir to combine. Cover and cook until the carrots are fork tender, approximately 10-15 minutes. 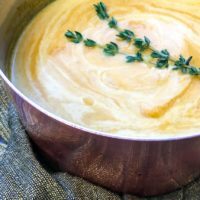 Stir once or twice while cooking. Remove from heat and puree mixture with an immersion blender until smooth. (A regular blender or food processor can also be used for this step). Taste and adjust seasonings, as desired. Return to medium heat and add half and half. Stir until barely combined and cook until heated through, approximately 1-2 minutes. Remove from heat and serve immediately.